Doing business alone can be quite stressful sometimes. Whether is for financial reasons, relations that demand relationships, or just the inability to feel sufficient when doing business as a sole trader, it may be a great idea to consider being a partner with someone. But, it is important that you have a business partnership in writing and signature before you can start working together with someone. 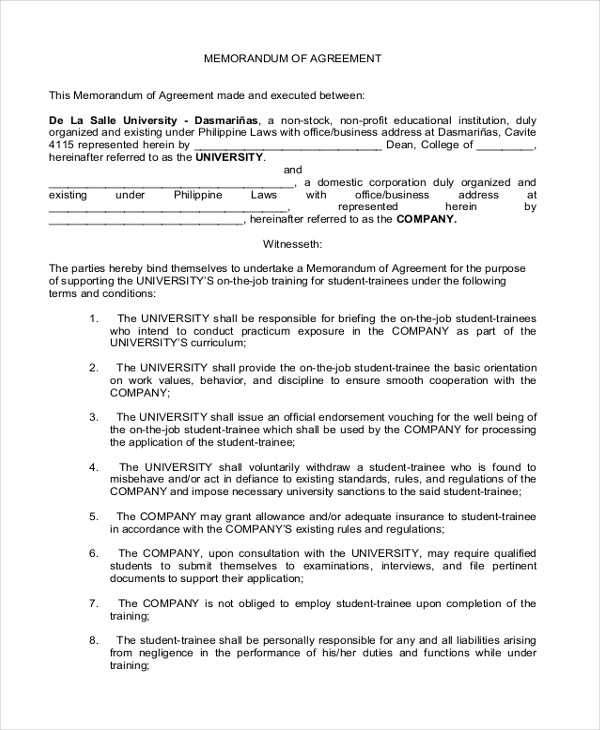 Here are Agreement Forms that you can use as agreements. If you have the capital and someone else has the idea for a good business, it may be best if you consider partnership. The best way to get started is to have an agreement, and this sample can help you write that. If you want to partner with a friend you know can do start and grow business over time, it may be a great idea to write an agreement before starting. Use this sample template to get started. You may also see Loan Agreement Forms. You cannot start a partnership business without an agreement. That’s common sense. 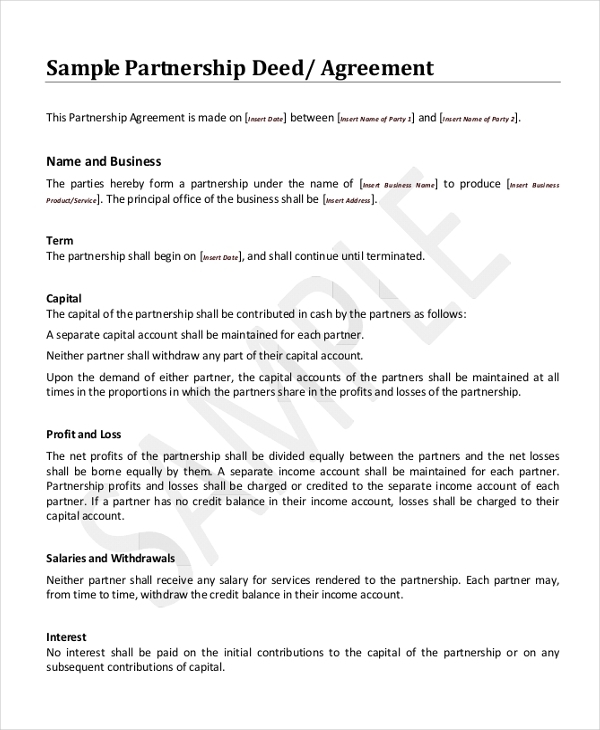 So why not use this sample template to write the agreement form that you and your business partner can use. Tired with partnership? If yes, it may be a sign that it is time to end it altogether. The best ways to do this is use a sample form and use it to write the terms and the conditions of the agreement. You can also see Buy-Sell Agreement Forms. This file is useful if you are serious about being someone’s partner in business. You download the file, customize it, and them use it as the official partnership document for the business. At the end of the day, partnership businesses work better when there are terms of agreement. The best thing to do, therefore, is to use this sample template to write custom agreements for the business. You may also see Loan Agreement Forms. 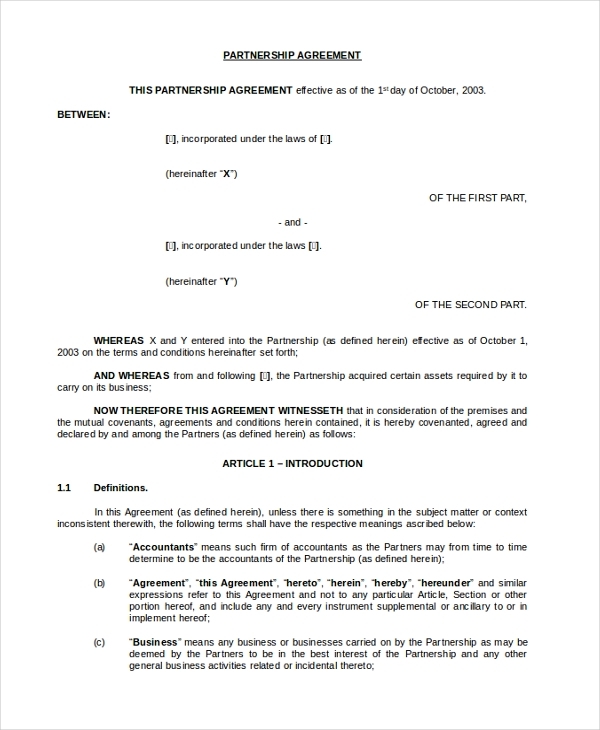 You can download and refer to this same file if you have no idea how to write a partnership agreement yourself. The sample template is available for free and it is easy to customize. If you and your business friend want to open a beauty shop or modeling company, it might just be best to know your business roles. 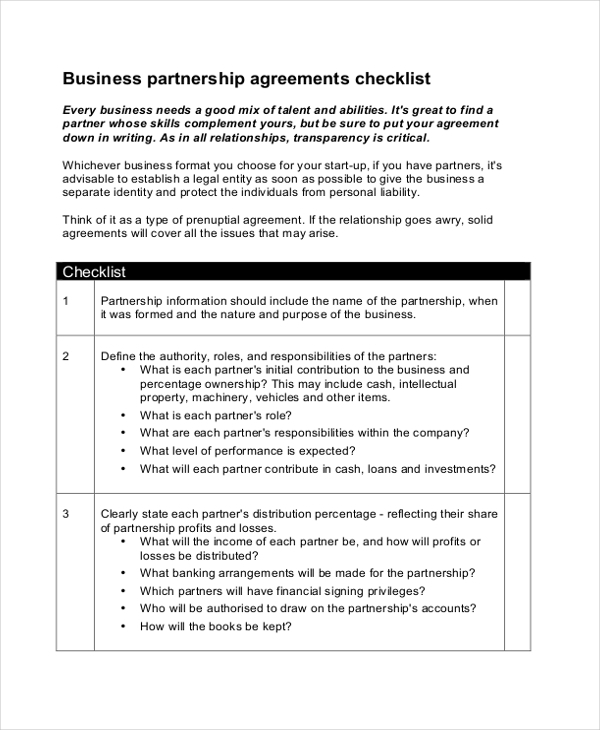 Why not outline them in a partnership agreement using this sample template. You can also see Standard Lease Agreement Forms. 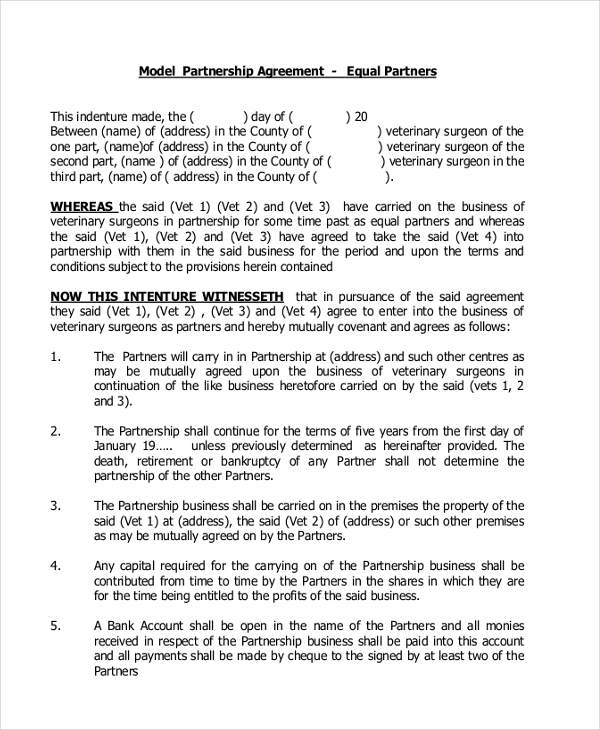 What are The Benefits of Business Partnership Agreement? It is important to keep in mind that we are talking about written agreements in this context. That’s because verbal contracts have never for once been considered legally binding. And, they never will be. So, what are the advantages of the partnership agreement? They are the hardest evidence of signed contract with the terms and the conditions governing the partnership. 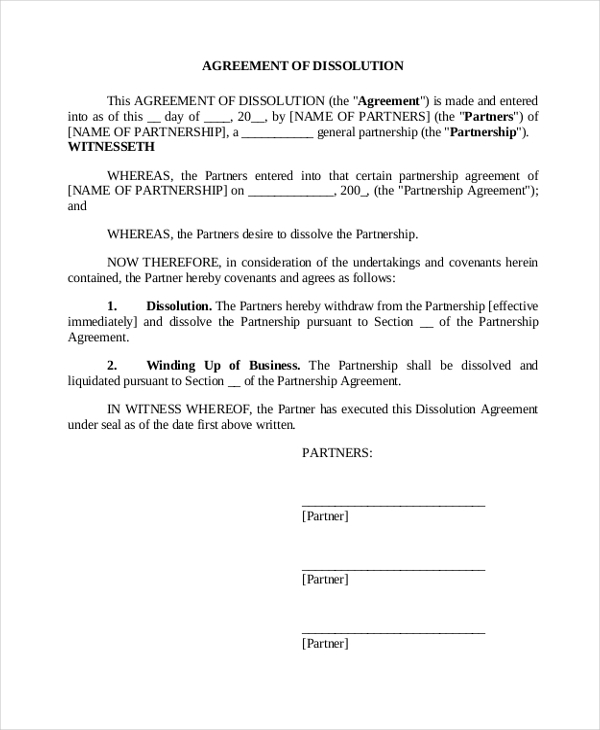 In a case where a dispute arises, the written agreement can be uses a means for mitigating a partnership case. The content of the partnership agreement outlines the rights and benefits of each member in the partnership program. Hence, these rights should be given the respect that they deserve. What are The Uses of These Sample Forms? 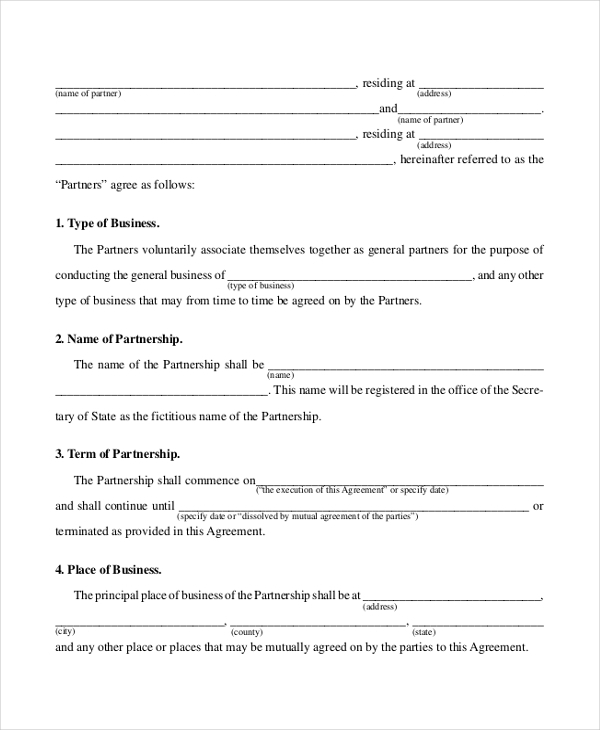 You use this file to outline the terms and the conditions that will be governing your partnership business. You should use this sample file outline the rights and benefits of every member who’s willing to be part of the business partnership program. You can also use the sample form to solve business disputes in case such things arise. Because these sample files are available for free download, you do not really have to spend time creating them from scratch. All you have to do is to browse the list of the files provided, pick a template that you believe is good for you, and then use it to write the agreement. 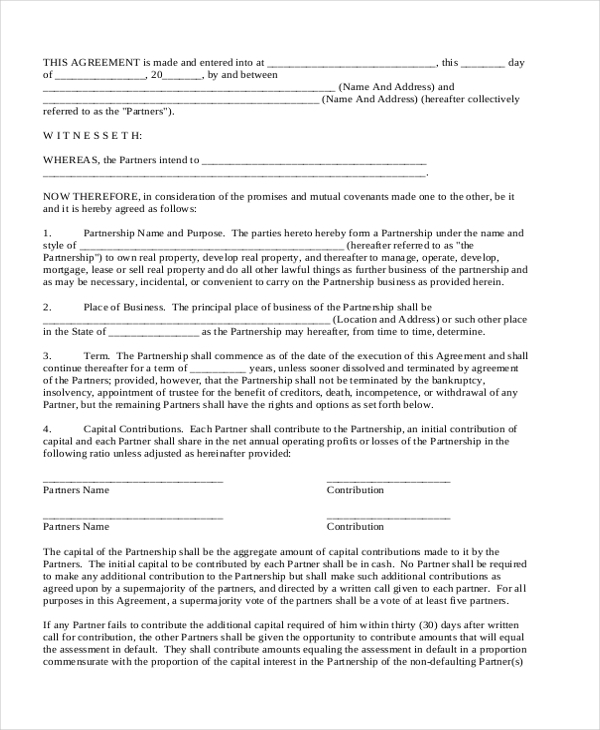 you may also see Purchase and Sale Agreement Forms.